*Por esta ocasión este post es solo en ingles, pero si les gustaría que este link up sea también en español díganmelo en un comentario. If you have read another blogs, I'm sure you have noticed that almost every blogger has behind her a guy that believe it or not is a huge part of her blog. 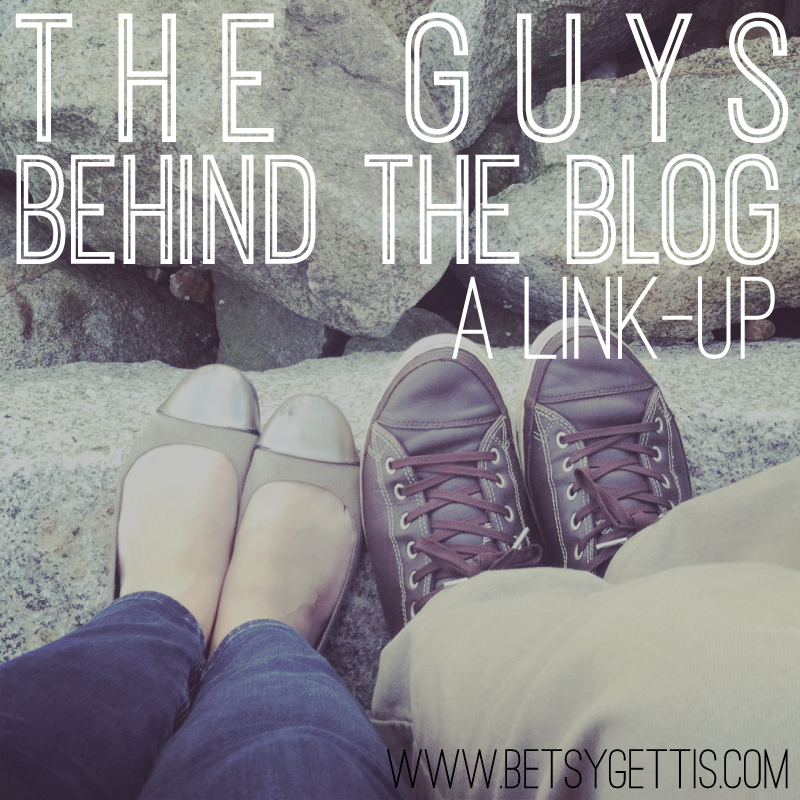 I think Betsy's The guys behind the blog link up is a great way for you to get to know that supportive man who encourage/listens/help/inspires her on daily basis. So let me introduce to you my amazing fiance who was my biggest support when I decided to start my blog and he also is responsible for correcting all my grammatical mistakes (i'm still struggling a lot writing in English) but still he reads my post when they're ready so I guess he is my reader #1. Did I mention that I plan to make him a photographer too? Let's move on to the questions..
What do you think about my blog and What do I blog about? I like your blog! .... that's all I get (really?) Yes babe, that is all you get. Ok, Let's see, I like it alot. I love how passionate you are about this. I like your blog because you don't focus in only one area, you blog about fashion , music , videos, books , and decorative ideas, all in one! What is your favorite post I've written? The one where you write your bio, you talk about your ambitions, why did you start your blog, etc. Valentine's day is on the horizon...are you the date-planner type or do you fly by the seat of your pants? do you have anything planned for february 14 this year? mmmm normally I am a date planner I like to think of every possibility and scenario in my life, but since I'm with my fiance I kind of fly the seat of my pants because she is not a normal woman, she is the type of girl that likes to go with the flow, shes more thaen spontaneous type of girl and I like that because she makes me think outside the box, yeah that's it! Tell us about a date-night-gone-wrong for you and your fiance. And let's cover all the topics...sports...who are you rooting for in the Superbowl and why? That's all, check all the other guys behing the blog answers in Heavens to betsy and stay tuned because another link up starts on february 26! !